What does loving oneself mean? It means taking care of oneself regardless of the negative messages that have been pounded into one’s brain over the years. Some people learn as they grow through adulthood. Some never learn because of oversensitivity to what others have said during the course of their lives or from severe trauma that occurred throughout childhood. 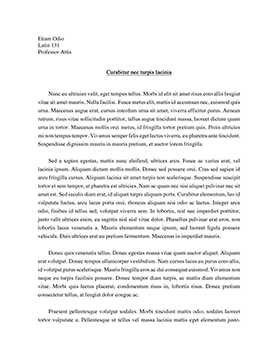 The purpose of this paper is to demonstrate the meaning and importance of what loving oneself truly means and the common misconceptions thereof. There are several steps to the process of loving oneself unconditionally. According to Deepak Chopra MD, the first step toward a person loving oneself is taking quiet time for oneself to reflect upon what one wants to change and secondly, getting in touch with one’s inner child. Meditation is an effective method for self reflection. It is also imperative for him to take care of his physical needs, such as taking a walk and getting sufficient sleep (Chopra 2). The second step is to stop running away from your fears, weaknesses and flaws. Overcoming fears is essential in the healing process. As humans, we have to accept that we have flaws and weaknesses. Many are scared to admit their flaws and weaknesses to themselves. Writing down one’s flaws and weaknesses, maintaining awareness and working through them slowly will help one eventually gain self-acceptance. The process should not be rushed because achieving growth takes time (Chopra 2). ...e in, because they worry what others will think or say about it. If there is something that is good for a person, brings him happiness, and helps live life better, the thought of what others might think shouldn’t worry him. One more misconception about self love is that it’s not important. If there was more self love in the world, there would be fewer criminals, drug attics, marriage problems, relationship issues, teenage rebels and less emotional pain. In addition, if people had self love, they wouldn’t depend on the love they receive from others. Attaining self love is vital for living a healthy and happy life. It significantly affects a person physically, emotionally and mentally in the best way possible. It helps one see things in life with a positive perspective. It is the answer to every problem, without exception. It is the investment one will never regret.